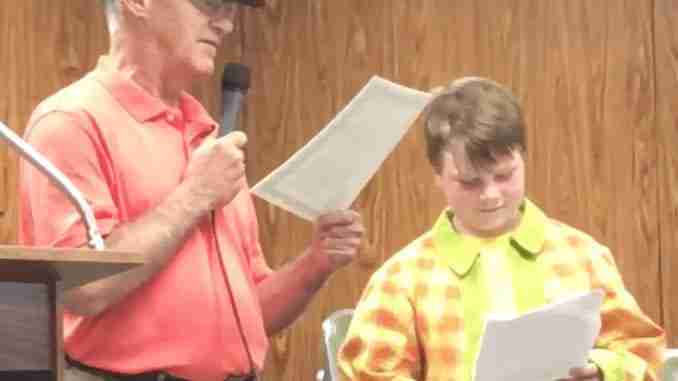 Mayor Dean Andrews (left) reads along with Jonah Devore (right) the Wizard of Oz Proclamation at Monday night's city council meeting. The 22nd annual Relay for life is a community wide event providing support for families whose lives have been touched by cancer. Relay for life is being held on Friday June 22nd from five to nine in Central Park and if it’s wet in the evening, it will be held at the high school.